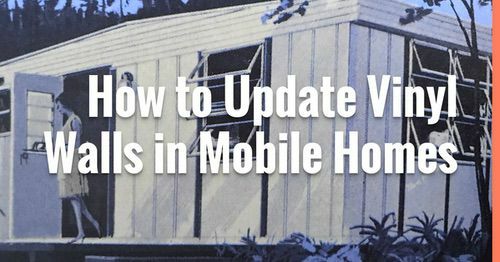 Today, we are exploring different mobile home laundry room update ideas. Let’s be honest, the laundry room is not our favorite room in the home. Anything to make doing laundry just a little bit better sounds like a good idea to me. 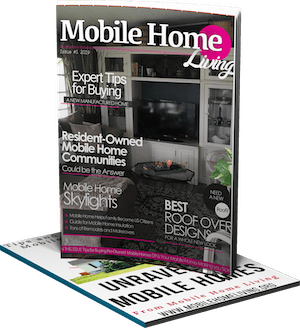 Related: See The Living Room Mobile Home Makeover Ideas We Loved. 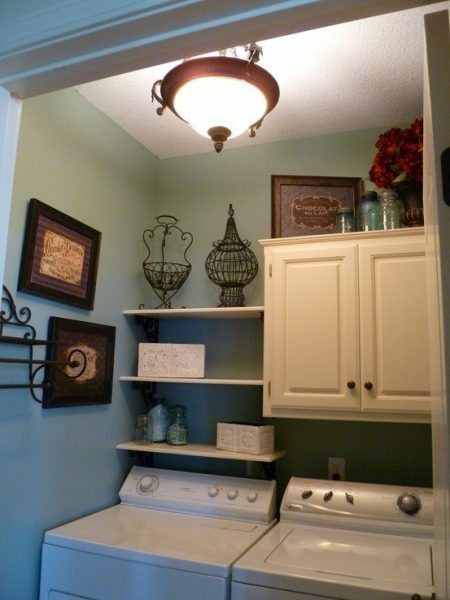 This laundry room design would be especially handy if you don’t have enough room for two cabinets. Open shelving is a huge trend. The whole combination of shelving and cabinets give this small laundry room space a look that you don’t have to close the doors to. Decor lighting with shelving and cabinet are perfect here. Another great example of maximizing the space in a mobile home laundry room is this setup. A cabinet for laundry necessities and a hanging rack for garments and the lower decorative shelf creates a charming look in this laundry room space. Cabinet, shelf and drying rack make for a great look. Front-loading washing machines are super popular right now. 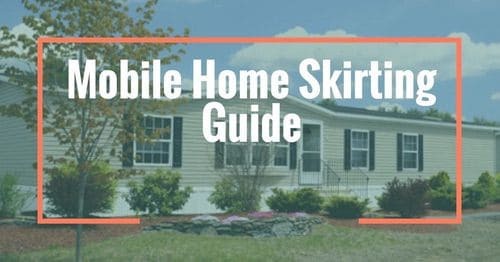 They also come in more compact body styles which make them great for the smaller laundry room spaces in mobile homes. I’m a big fan of the way this homeowner designed the cabinets. The shelves between the cabinets are perfect for storing detergent, fabric softener, or the dreaded iron. Wall decor and paint brighten this laundry space. 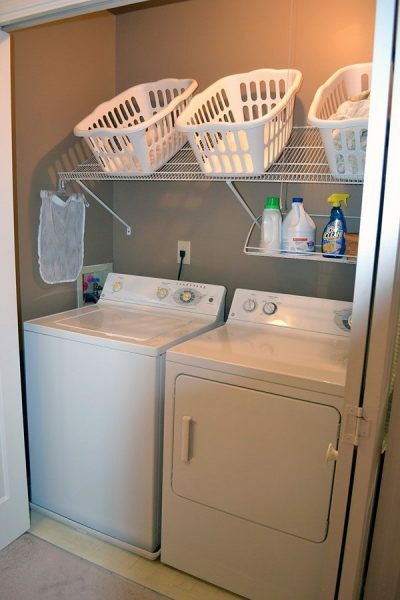 This laundry room design has a unique use of space. The shelves holding the laundry baskets can be picked up at any local home improvement store for less than $50. This is a great way to keep your baskets out of the way while doing laundry. 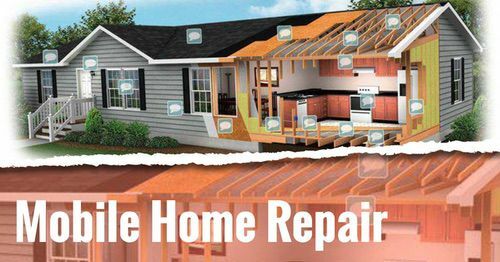 If you are looking for a budget-friendly idea this is it! 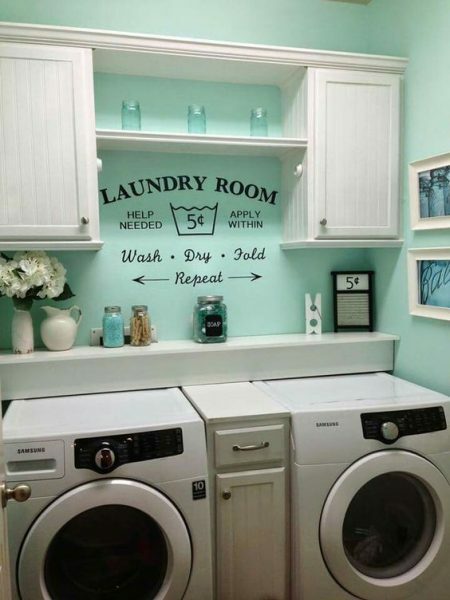 You can check out more great laundry room ideas here at Tip Hero. The laundry baskets are easy to reach but out of the way. 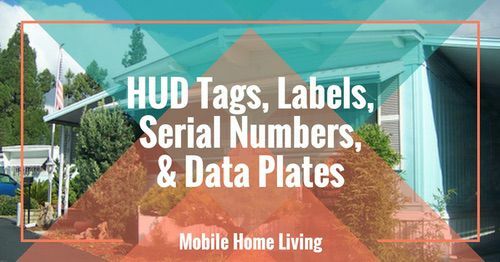 If you have a big family then it goes without saying that every space in your home needs to pull double duty. The laundry closet is no exception. 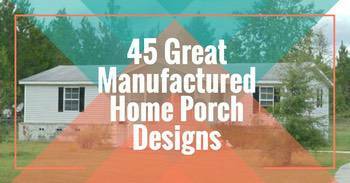 This homeowner really used her imagination and made use of every available inch she had, including the doors. Using simple shelving, baskets, and over-the-door shoe racks created the ultimate laundry and storage space. We love this creativity! Read more about her idea here. Inexpensive over the door shoe racks make use of every available space. Related: Check out these Smart Storage Solutions for Small Homes. 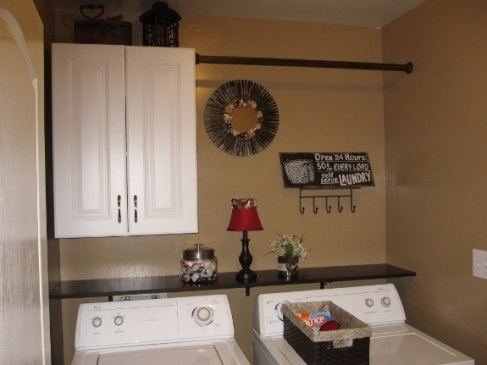 There are so many great laundry room update ideas out there! 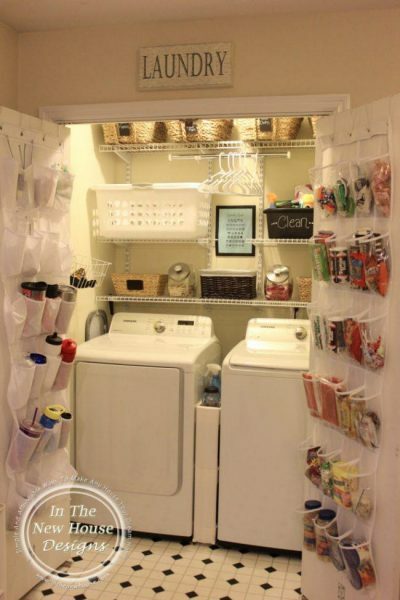 Do you have a smart laundry space? We’d love to see it! 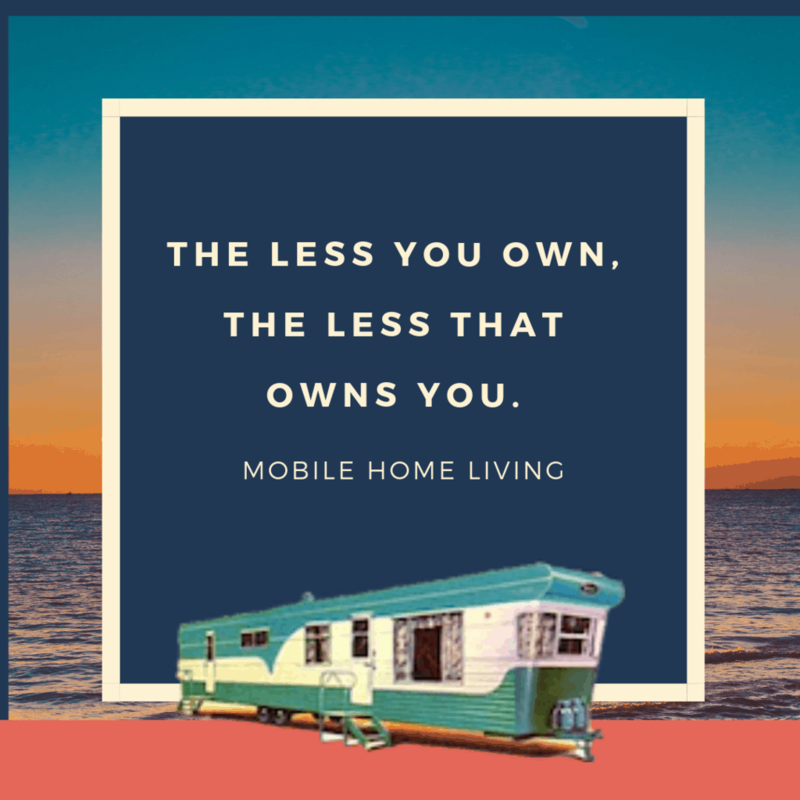 I live in a 16×80 mobile home. My laundry room has the washer at one end and the dryer at the other. The back wall is shelves I think to be used as a pantry but with the dryer, everything is too covered with dust all the time to be practical. We use it for storage of all manner of household items. Has anyone else ever encountered this set-up and if so what did you do to make it more user friendly? Any ideas would be welcomed. You probably figured out a solution by now. What if you hang a floor to ceiling curtain to prevent dust and lint from getting to the shelves? Have you looked into moving the dryer or getting a stackable washer and dryer?